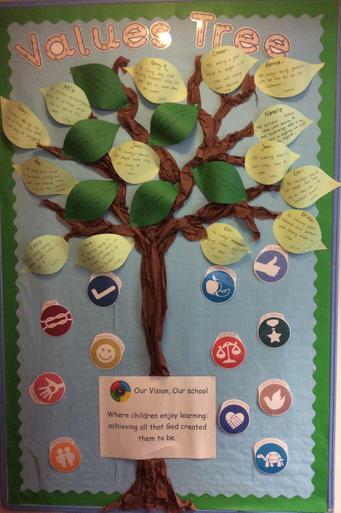 Spring is in the air and Class 5's Values Tree has been blooming. Miss Richell, Mrs Edmondson, Miss Arnott and the children have been nominating members of the their class who have demonstrated some of the values displayed on the tree. Well done Class 5, it's fantastic to see so many of you displaying these values towards each other and around school.